The Kentucky doctor dragged off an airplane in Chicago, in a startling incident captured in a viral video that sparked global headlines, has settled with United Airlines for an undisclosed amount. 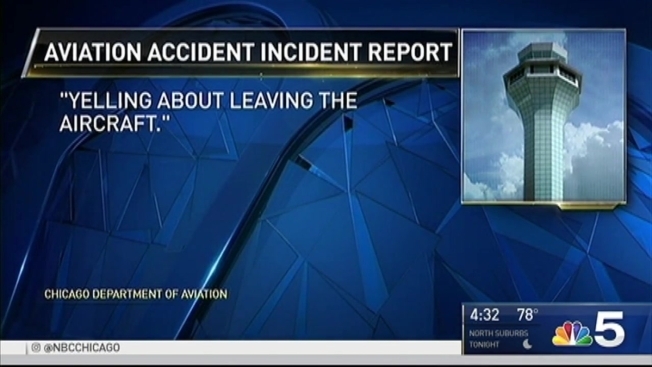 According to a statement from his attorney, Dr. David Dao "has reached an amicable settlement" with the airline "for the injuries he received in his April 9th ordeal." "Dr. Dao has become the unintended champion for the adoption of changes which will certainly help improve the lives of literally millions of travelers," said attorney Thomas Demetrio. News of the settlement follows an earlier announcement from United Airlines saying it planned to raise the limit — to $10,000 — on payments to customers who give up seats on oversold flights. The company also said it will increase training for employees as it deals with fallout from the incident. United is also vowing to reduce, but not eliminate, overbooking — the selling of more tickets than there are seats on the plane. "Mr. Munoz said he was going to do the right thing, and he has," Demetrio said in a statement. "In addition, United has taken full responsibility for what happened on Flight 3411, without attempting to blame others, including the city of Chicago. 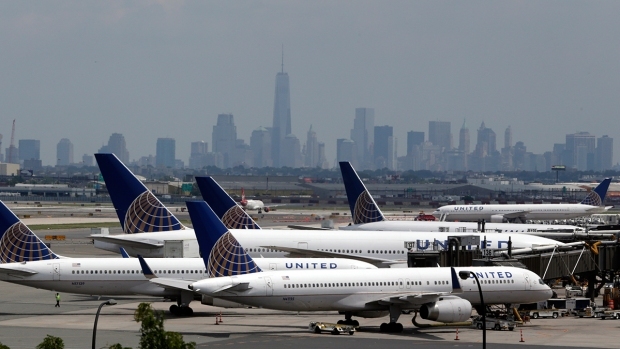 For this acceptance of corporate accountability, United is to be applauded." Munoz told NBC News' Lester Holt the situation "was a system failure," explaining that he has made changes at the company because the incident with Dao "should have never happened." Later Thursday, United released a statement saying it was pleased there had been an "amicable resolution" to the incident. "We look forward to implementing the improvements we have announced, which will put our customers at the center of everything we do," the statement said. United Airlines issued an updated policy Friday in the wake of criticism sparked by a video showing a doctor being dragged off a plane at Chicago's O'Hare International Airport. Trina Orlando reports. 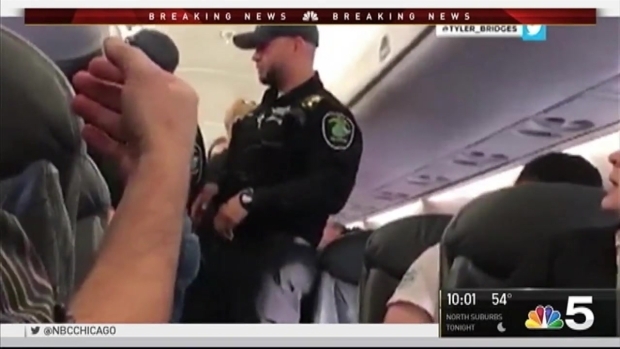 The saga surrounding United Express Flight 3411 continued to unfold through this week as new video and audio recordings were released by authorities showing what happened in the moments before and after Dao was dragged off the aircraft earlier this month. Dao, a physician, was bloodied and dragged off the United Express plane by Chicago airport officers who were summoned by United employees when Dao wouldn't give up his seat. The three officers involved have been suspended. Dao's lawyer had said in an interview with "Today" Monday morning that he planned to file a lawsuit in the case. Demetrio said the 69-year-old suffered a "significant concussion," a broken nose and lost two front teeth. Munoz said last week no one would be fired over the incident — including himself. He added that he takes full responsibility "for making this right." United has been pummeled on social media — #BoycottUnited is a popular hashtag — and late-night television. Munoz and other executives have vowed to treat customers with dignity, and said that what happened to Dao will never happen again. Munoz's early statements on the incident were widely criticized. He initially supported employees and blamed Dao, calling him "disruptive and belligerent." On Tuesday, he was asked if the company ever considered firing anyone, including management. "I'm sure there was lots of conjecture about me personally," said Munoz. He noted that the board of United Continental Holdings Inc. has supported him. "It was a system failure across various areas," Munoz continued. "There was never a consideration for firing an employee." United announced two rule changes last week, including saying that it will no longer call police to remove passengers from overbooked planes. It is not clear whether United oversold Flight 3411, but the flight became overbooked when four Republic Airline employees showed up after passengers had boarded and demanded seats so they could commute to their next assignment, a United Express flight the next morning. Some politicians and consumer advocates have called for a ban on overselling flights. Munoz declined to address that or other possible changes until the airline finishes a review by April 30.